10% deposit with booking remainder six weeks prior to holiday commencement date. New October 2017 not available for hire until March 2018. ABI Summer Breeze caravan with central heating and double glazing additional gas fire in the lounge. 3 bedrooms (1 double and 2 twin) with a fold-up bed in the lounge, sleeps 8. 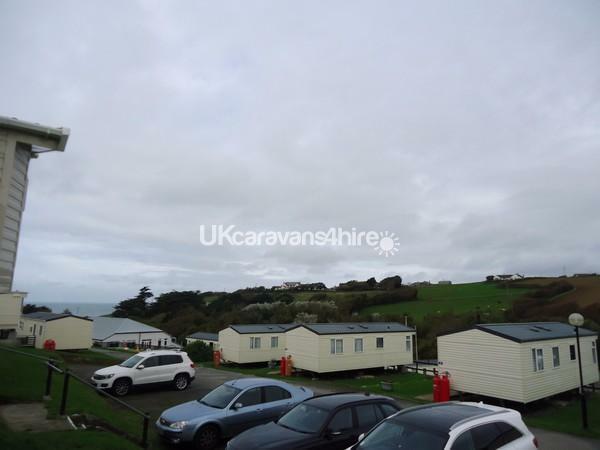 It has a shower & Toilet and also a separate toilet, fully fitted kitchen along with a fridge-freezer, built in microwave, kettle, toaster, cooker and cooker hood. 32” TV/DVD player in the lounge and an additional TV in the master bedroom the caravan looks out over fields with sea views from lounge. 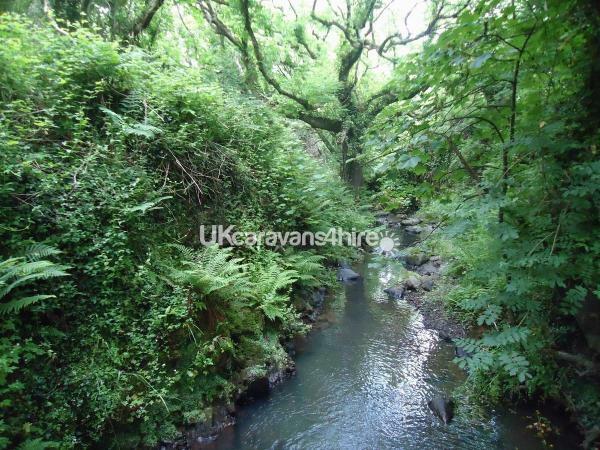 Their nature walks on site with many coastal paths walks close by. Beds will normally be made up ready for your arrival but no other linen is provided i.e. Towels, tea towels etc. Fire and Carbon Monoxide alarms along with a fire extinguisher are fitted. Veranda with patio set table and 4 chairs. 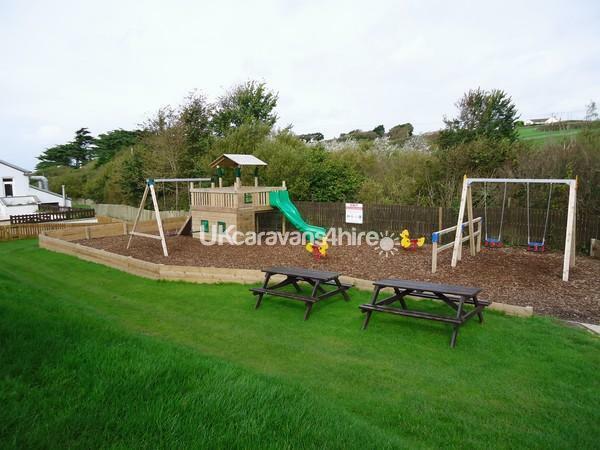 Site amenities include a newly refurbished clubhouse; take away, bar, Foxy kids club, kid’s bingo, amusements and pool tables, next gen games den, with free Wi-Fi in the clubhouse, indoor heated swimming pool with aqua gliders and water walkers. Outside there are crazy golf and kids play areas. There is also a shop and a launderette. 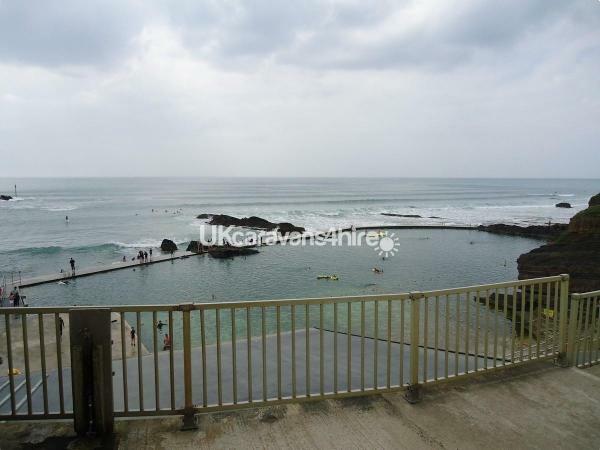 The town of Bude is approx. 6 minute drive away from the site and here you will find lots of lovely shops and supermarkets, it is a great place to visit, you can even take a self-drive boat along the canal. Situated on the North Cornish coast you are within easy reach of North Devon as well and places like Clovelly, Boscastle, Tintagel, Bideford and Barnstaple are not far away. 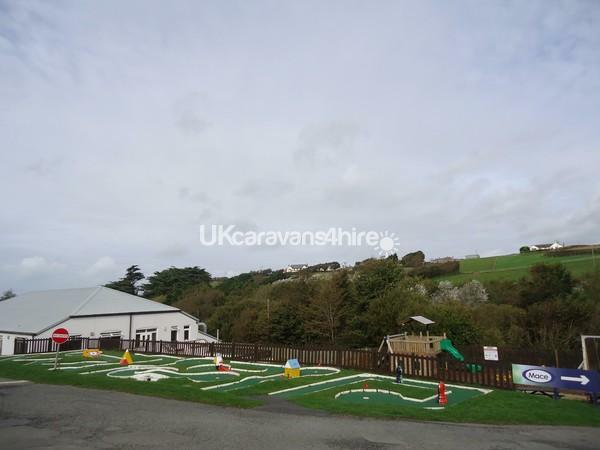 Family attractions to see within easy reach including, Port Isaac (Doc Martin location), Padstow (Rick Stein Chip Shop ), Newquay, the camel trail, the Camel Valley Vineyard, the Big Sheep, the Milky Way, Old MacDonald’s Farm and about an hour away is the famous Eden Project. Slightly further and there’s Mevagissey, the Lost Gardens of Heligan, Fowey, Looe and many other places. Widemouth Bay and Bude are ideal for body boarding and surfing RNLI Lifeguards are on duty most of the Holiday season, there are Hire shops for equipment and café, restaurants etc. along Widemouth Bay and in Bude. 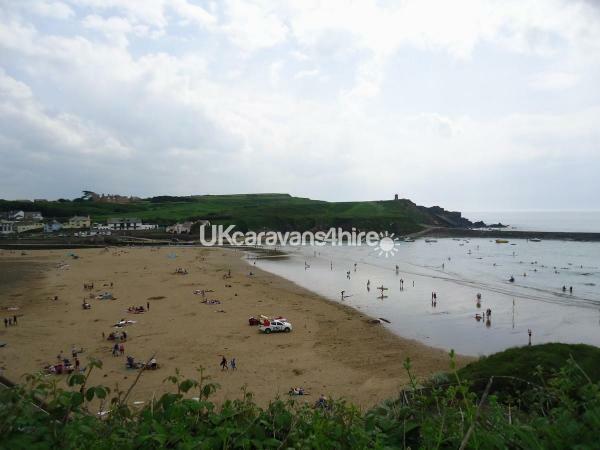 Bude also has a large sandy beach for children to play, There are many beaches and coves close by to be discovered. Bus service from adjacent to site to Bude and south towards Port Isacc . Additional Info: Site amenities include a newly refurbished clubhouse; take away, bar, Foxy kids club, kid’s bingo, amusements and pool tables, next gen games den, with free Wi-Fi in the clubhouse, indoor heated swimming pool with aqua gliders and water walkers. Outside there are crazy golf and kids play areas. There is also a shop and a launderette.